Not ‘sort of’ or ‘just about’… I want to know exactly! One thing we learned during our baking adventures is to keep an eye on the temperature of the dough. In our micro bakery the temperature fluctuates between 13ºC/55ºF in the winter and 26ºC/79ºF and upwards during summer. Believe me, this temperature difference has a big impact on the end result of your loaf. 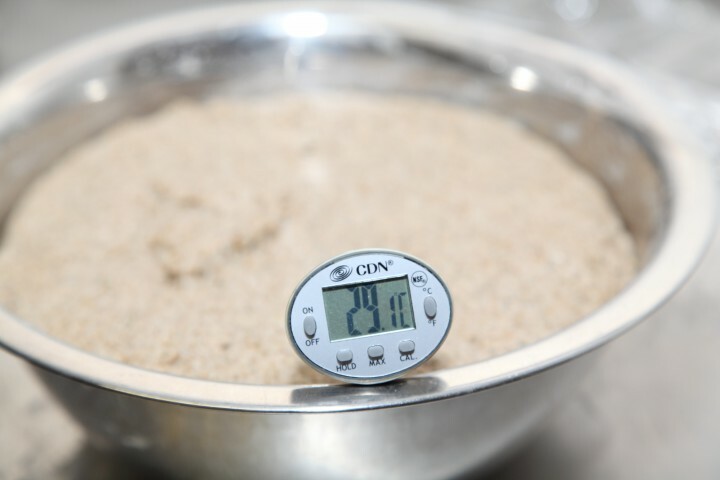 When you are baking a lot of loaves in batches and want to get consistency in your end product you need to control the temperature of your dough. Below is a chart for the L. sanfranciscensis lactobacillus and C. milleri yeast which both are common in sourdoughs. Commercial regular active yeast contains the species S. cervisiae. The type C. milleri is very common in sourdough breads and it does work better at lower temps, but S. cervisiae actually peaks it’s activity at about 35°C (95°F). A few degrees difference in dough temperature can change the duration of the bulk fermentation or the final proofing a lot. 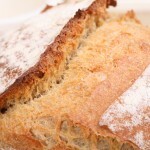 When baking bread with regular active dried yeast, the optimum (for speed alone) temperature is just over 27ºC/80ºF. Much hotter and the activity of the yeast declines. Above 35C/95F the yeast is effectively dormant or dead. 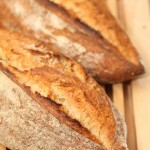 The bacterial activity peaks at 34C/93F, so some bakers choose to ferment at 32C/90F to get a more sour bread. At 21C/70F the activity of the yeast has roughly halved, so the fermentation will take twice as long. The right temperature is the single most critical variable. The growth rate of for example the L. sanfranciscensis lactobacillus and C. milleri yeast is ln2 / generation-time, i.e. a growth rate of 0,7 is a generation (doubling time) of about 1 hour. If the generation time within your dough at 20ºC/68ºF is 1/2 of that at 30ºC/86ºF, the organism will also grow 1/2 as fast at 20ºC/68ºF compared to 30ºC/86ºF. So, it’s not the absolute numbers that matter, but the ratio of growth rate to growth rate at optimum temperature. Invest in a good digital thermometer; We use a CDN DTQ450X ProAccurate Quick-Read Thermometer and a Thermapen which are both excellent, stable and fast. Use warm water in the winter or cold water in the summer to get the dough to the right temperature. The temperature of the water depends of the temperature of your room and the temperature of the other ingredients. For example our Pain Rustique uses a 50% preferment to final dough ratio and thereby uses 72% of the water in the the poolish. In winter we sometimes need very hot water (up to 55C) to get the poolish and the new flour up to 24ºC. However when using a lower preferment to final dough ratio, water of about 30C is often enough to get to 24ºC. Try to keep the dough at a stable temperature. We sometimes put a bowl of dough on top of the Rofco oven covered with a tea towel and on top of a folded towel. Also a preheated and switched off oven to about 30ºC (use a thermometer to measure the inside temperature as your dial on the oven will probably not be very helpful) will work great. Some people build their own proofing cabinet, using an old refrigerator or kitchen cabinet. With the help of a 40W or 100W light bulb on the bottom of the cabinet (warm air rises from bottom to top!) you can easily heat the inside of your cabinet. You can use a simple mechanical thermostat to switch the bulb on and off to control the temperature. 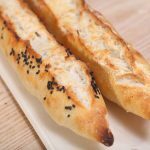 When you do not have the means to control the environment temperature of your dough, in summer you can make your dough a few degrees colder and in winter a bit warmer to compensate for the rise or decline in temperature. Water and flour have a different thermal capacity. In bread baking this translates to the influence of water on dough temperature being twice that of flour. The dough calculator you’ll find in most of our bread recipes takes this into account. Want to learn more on calculating the right water temperature? Thanks for the tid-bits. 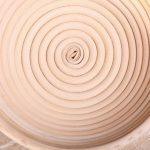 What happens if the temperature fluctuates for dough that takes a long time to rise? If it’s in a cool environment for the beginning and then the room gradually warms up or; if it starts out warm, cools down, and then warms up again? Like, if you started the rise, suddenly had to leave and threw it in the fridge, and then got back later and took it out of the fridge to finish the rise? In general, for a good result it is best to have a stable and draft free development environment and stick to the recipe. But it also depends on what that recipe is exactly, the ingredients and your goal in terms of structure and taste. So it does not have to be a problem, but you need to keep an eye on it and also make sure the dough does not dry out. 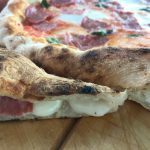 The dough can go from warmer to cool and back again, but it all needs to come together with the right amount of yeast, type of flour and development time. So your method could work, no problem, as long as the dough does not over-develop or the recipe is somehow not suitable for longer fermentation. Do you have suggestions on how to control the humidity? I am thinking of getting a hygrometer to tell me the humidity in my kitchen and a humidifier for the winters to bring up the humidity. My quality control is going to be shot going into this dry season now! The obvious way to go for some bakers would be a proofing cabinet, but that can be very expensive and it all depends on how many loaves you want to make in one go. Another option, which will benefit your dough, your surroundings and yourself, is indeed buying a humidifier for your room. We have one in a room with wooden floors (a ‘Venta’ from Germany) and are very happy with it, both for the floor and ourselves. Do you have a correlation chart for feeding that shows the relation between activity (temperature), hydration, and starter percentage? I’m apparently doing something wrong! My bread falls flat, although just a little on top. I never had that problem before. I know the African sun can be harsh, so I am being cautious. It happens after +/- 15min in the oven. Any suggestions? Could have either something to do with the oven and temperature, with the flour you are using and with possible over-proofing (proofing faster in African sun) or even a combination to make things more difficult. Also important: Do not open the oven door during the first stage of the baking process! Hi! Is there a machine or equipment we can use for our proofing room to have a stable temperature, other than humidifier? You can buy professional proofing cabinets or you can make a proofing cabinet from an old refrigerator, but for this you need some technical know how. Some people build proofing boxes. You can find examples on the web. Other than this and using you own oven as a proofing space we would not know. There is a great and affordable proofing cabinet that folds down to store away in a drawer- made by Taylor and Brod. I highly recommend. Thank you for sharing Alex. what is the optimum humidity for saccharomyces cerevisiae ? We do not know the exact answer to this. Hope somebody else does. Amazing article! I was wondering how much time in the fridge (retarding fermentation) I would need comparing to room temperature for the fermentation and make my recipes more flexible. Any input from that? Do you recommend any book or other info regarding this? (e.g., amount of yeast vs. fermentation time vs. temperature). Time in the fridge, it depends on the recipe, the amount of yeast or sourdough and the temperature of the fridge and the conditions when the dough is made (room temp and dough temp, humidity) . So you need a point to start, for example reduce the yeast by halve and put your loaf in the fridge overnight (take around 12 hours to start), and see where it leads. It is a bit trial and ‘error’ but within 2 or 3 attempts you will get it right for your conditions. This would be the quickest and easiest way to go about it. The best book we can recommend, with lots of info on many related subjects and still accessible for the home baker is ‘Bread’ by Jeffrey Hamelman. Enjoy your baking and retarding! A trick I’ve started using lately in my kitchen, which is usually too cool, is to do my bulk fermentation with the dough bucket sitting on top of an electric heating pad. The “low” setting is just about 80 degF, and the bucket is insulated enough that the dough mass stabilizes nicely around 77 degF. When the kitchen is really cool, I’ll do the second rise in the closed oven with the heating pad in the bottom of the oven. But I have started to settle on letting the second rise go more slowly to develop a bit more of a sour flavor… your graphs and equations are a great explanation of what I’ve learned through experimentation! Thank you very much for sharing your excellent tips with us fellow bakers. Great how you experiment to get your loaves just right! A big challenge for lot Indian folks is making ‘Idli’… where we soak & later grind rice & urad dal(black gram lentil)… the batter has to ferment & double to get fluffy idlis once steamed ( ellipsoid rice cake). In US & other cold countries it can take 2-3 days in winter …. usu it ferments in 12 hrs in tropical countries. We have heard of Idli but have absolutely zero experience with it. The only thing we can say that consistent fermentation needs consistent conditions. We know you can buy a dough proofer that is also used to ferment yogurt for instance (Brot & Taylor has one) that could be an option for you or you could use your oven, which you preheat to a the desired temp and then turn off. Hope this helps you a bit in the right direction. Using the yogurt setting in an Instant Pot for 8-12 hours produces an excellent idli fermentation. Thank you Masala for sharing your advice! Thank you Dakusuk, hope it will help you with your baking too! Does the temperature by 5 degrees Messa up your baking ?my husband said it make a difference? It depends on a lot of things..what recipe, do you mean Celsius or Fahrenheit, do you use yeast or sourdough et cetera. But in general, too low and the development is slowed down and too high the yeast will eventually die. Is it suitable way and gives a good results if I use my baking oven at 25°c temperature? I think it’s better than to leave it at the room temperature coz the oven is stable and well-reserved!! Yes Zanzoona, that’s excellent. Just give it a go! Yes you can, just make sure to seal the bag and store it in an airtight container, that would be best and do not use it past the sell by date, because the working of the yeast can get less as it gets older. Thank you and best wishes for you and your loved ones too! 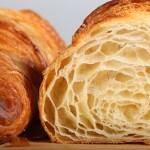 We hope to finish the choux recipe within the coming week. Regular active yeast is the species S. Cervisiae, not C. Milleri. C. Milleri is very common in sourdough breads, and it does work better at lower temps, but S. Cervisiae actually peaks it’s activity at about 35°C (95°F). The chart you’ve presented looks like it’s based on the same data as that presented in Ginsberg’s The Rye Baker, and it does hold true for sourdoughs, but not for active dry yeast. Thank you Martin, for this helpful information. Based on this we will look into your suggestions and also update our article. Very sorry, there was a site with info the chart was based on but we cannot seem to find it anymore. Hope you will still be able to fabricate an excel sheet to aid you with your challenging temp swings. About a year ago I retired and moved to Tennessee from Virginia. In Virginia and I always made homemade rolls and they came out perfect. I have not made a good pants since I’ve been here and can’t figure out the problem. I have a new Viking double oven and everything else in my recipe is the same. I have put my oven on so many settings and what happens is they will rise but somehow during the baking process they’re not as high as they were in Virginia. Any suggestions? This is an interesting and very tricky question which may have several causes. First of all your oven is different and it is a good idea to check the real temperature of your oven (see: www.weekendbakery.com/posts…your-oven/) and see if it is all working properly. Next, did you maybe buy (different) flour from a new source since your move, because this can also make a very big difference. And also there’s the climate (moisture) and the altitude that can account for variations in results too. We do not know enough about the differences between the two states and places to help you with that, but there is info to be found on the subject should it be a factor. Good luck with it and hope the buns will rise high again! Hope you will figure it out.